The Regional Arts Development Officer, Mr Richard Holloway, requested time to address a full meeting of the recently elected Council to undertake a presentation regarding their partnership with Local Government in this region and in particular with Nambucca Shire Council. That Council note the presentation by Mr Richard Holloway, Regional Arts Development Officer—Arts Mid North Coast Inc.
At Council’s Special Meeting on 2 October, Arts Mid North Coast was advised in writing that Council’s nominated representative to that organisation will once again be Cr Martin Ballangarry OAM. Arts Mid North Coast (AMNC) is a regional arts and cultural development organisation funded through a partnership between the NSW State Government (Department of Arts Sports and Recreation) and Local Government. Each of the following Councils across the Mid North Coast pay an annual financial contribution, based on a population formula, to AMDN’s core operations. These Councils are: Great Lakes, Greater Taree, Port Macquarie-Hastings, Kempsey, Nambucca, Bellingen and Coffs Harbour. AMNC is one of thirteen Regional Art Boards across regional and rural NSW, peaked at the state level by Regional Arts NSW (based in Sydney). The Board of Governance is made up of representatives from a number of stakeholder areas including an elected representative from each of the seven Council’s mentioned above. Over the last three years AMNC has been involved in attracting almost $4 million for arts and culturally related programs and project activity across the region. Arrangements for presentation made between Mr Holloway and Monika Schuhmacher. The is no impact on the environment. Council will be undertaking an inspection of Coronation Park and its main amenities and kiosk building. That the inspection of the Coronation Park and its amenities and kiosk building be noted. There are no options. Council resolved to undertake an inspection. Council at its meeting on 4 December 2008 resolved that an inspection be carried out at Coronation Park at the next General Purpose Committee Meeting scheduled for 17 December 2008. Council has set a budget of $935,677 for a new amenities and kiosk building utilising $423,000 in funds being made available by the Commonwealth Government under the Regional and Local Community Infrastructure Program. An invitation has been extended to the Committee of Management to attend the inspection. The Committee of Management has been invited to attend the inspection. There are no social implications from an inspection. There are no economic implications from an inspection. There is no risk with an inspection. There is no budgetary implications. The Nambucca Entertainment Centre Committee of Management has expressed concern to Council regarding erosion resulting from excavation which is taking place on a development site at the rear of the Entertainment Centre. 1 To inspect the site. 2 Not to inspect the site. The Committee of Management have been informed of the date and time of Council’s site inspection—that being Wednesday 17 December 2008 at 2.15 pm. The Committee have also been informed that they will only be able to go onto Mr Winton’s property by invitation/permission from the developer. Mr Ron Hawkins was engaged by Council to look at issues of movement in the rear and side extensions of the Entertainment Centre due to movement on the rear corner of the building at the fire exit and within the building in one of the change room areas. Prior to the development works commencing on the Neptune Apartment site a pre-existing condition report was prepared by the developer. Unfortunately a copy of this report is not on Council’s files and this will be followed up with the local developer. The area of concern raised in previous correspondence and calls to Council related to the new excavation work undertaken behind the stage area which has since been retained and back filled. The area of the site behind the Post Office and abutting the fire stairs from the Entertainment Centre has not undergone any excavation as part of the building program and is believed to be in a similar state for many years. Council building staff will however undertake further investigation work on the site and have discussions with the developer. It is understood the works undertaken on the pre existing excavation area by the developer is to cover an exposed sewer main and an attempt to landscape/beautify the area as part of the new development. Nambucca Entertainment Centre Committee of Management. If this stability of the site needs to be sound and any erosion possibilities attended to. The thought that some parts of the Entertainment Centre building foundations my not hold up under the excavation is causing concern to Committee members. Any repairs from damage to the Entertainment Centre that may be caused from the excavation will be at the cost of the developer. There is a safety risk involved. At this stage it is unknown what the impact on current and future budgets (if any) may occur. Life Education’s Upper Mid North Coast Educator, Ceri Wrobel, and Community Development Officer, Maggie Barnewall, will be attending the meeting to thank Nambucca Shire Council for its support of Life Education for many years and to give a brief update. There are no options identified. Life Education NSW was established thirty years ago, and Nambucca Shire Council has been towing the Life Education mobile learning centre between towns and primary schools throughout the Nambucca Shire for many of those years. The “in kind” towing service provided by Councils, saves Life Education NSW thousands of dollars in towing costs every year. Life Education is a not for profit organisation, providing preventative drug and health education programs to over 750,000 primary school students throughout Australia, including over 1000 Nambucca shire children each year. Students attend age appropriate Life Education sessions in the mobile learning centres that visit schools annually. Life Education NSW receives a portion of the cost to deliver its program from NSW Health and by charging student attendance fees. The balance, approximately one third, is sought from community fundraising and sponsorship. Life Education’s quarterly publication “UNIQUE” includes an article in its Summer edition together with a photo featuring Dave Nash representing Nambucca Council’s towing staff. Visit. Council through its budget allocation and support for Life Education contributes to positive social and health outcomes for primary school students, their parents and teachers and the wider community. There is a small risk associated with towing the van which is addressed under Council’s risk management associated with vehicles. An allocation of $3,000 is included in the 2008-09 budget. Council will be requested to continue this support in future budgets. On-site sewage management systems, historically known as septic systems, are utilised to treat and/or dispose of wastewater from both domestic and non-domestic premises in non-sewered areas. The current Nambucca Shire Council - On-site Sewage Management Plan was prepared in June 1999 and provides a strategy for the regulation of systems within the Shire. Since that time significant changes in legislative requirements and technological advances have occurred. The draft On-site Sewage Management Plan 2009 has been prepared to address these changes. The draft plan applies a risk assessment process to determine the likely environmental and public health impacts of a system. The type of system installed and its proximity to environmentally sensitive areas are prime considerations in determining the risk classification. Under the draft plan, systems with a high risk classification have more stringent operational and monitoring requirements imposed compared to systems in a lower risk class. Additionally systems that have a proven satisfactory performance record are rewarded with a reduced risk classification where as unsatisfactory systems may have there classification increased. 3 Resolve not to proceed with the draft plan. The Local Government Act, 1993 is the over-riding legislation that governs on-site sewage management systems. The Act and its subordinate legislation places requirements on the installation, operation and management of all on-site systems. When legislation pertaining to on-site sewage management systems was introduced it was reported that up 70% of existing systems within New South Wales were failing to achieve satisfactory health and/or environmental outcomes. The impact of inadequate disposal of effluent was highlighted in 1997 when the commercial aquaculture operations of Wallace Lake were terminated due to contaminated effluent entering the aquatic system. The closure resulted in significant costs in both environmental and economic terms. On a local and more recent event, the closure of oyster operations in the Bellinger and Kalang Rivers within Bellingen Shire has demonstrated the need to be vigilant in identifying and mitigating potential contamination sources. In areas remote from the estuarine system, the satisfactory performance of an on-site system is still required to ensure minimal impact on the environment. Poorly planned or poorly maintained systems may increase the potential for pollution of groundwater or increase the risk of human exposure to pathogens. 5 Concession for aerated wastewater treatment systems. · The Local Government (Approvals) Regulation, 1993 has been replaced by the Local Government (General) Regulation, 2005. · AS 1547 – 1994 Disposal Systems for Effluent from Domestic Premises has been superseded by AS 1547 – 2000 On-site Domestic Wastewater Management. It should be noted that the Environment & Health Protection Guidelines – On-site Sewage Management for Single Households, which was released in 1998 and is a reference document under Council’s draft plan, identifies the 1994 standard. The licensing period for an on-site system is determined according to its risk classification. Licensing periods may be 1, 3, 5, or in some circumstances 10 years with the system being inspected by Council at the expiry of each license period. In order to determine the risk classification, a matrix has been prepared (Table 12.2 of the draft plan). The matrix allocates points for varying aspects of the proposed system such as location, type of treatment system, surrounding environmental factors, etc. The points are “weighted” so that critical aspects are scored according to there potential impact. The higher the score, the more potential for significant adverse impact should the on-site system fail. Accordingly a high score may result in a 1 year licence and annual inspection requirement being imposed compared to a low score and say a 5 year licence period. The draft plan proposes to introduce provisions where the risk classification (and hence the inspection frequency) may be reduced or increased depending upon the performance of the system. If an operating system fails a Council inspection, a direction will be given to improve maintenance, operation or upgrade the system as required. If a system fails two (2) consecutive inspections the risk category will increase one class and further action may be necessary. If a particular system is increased in risk classification, the subsequent licence period is reduced and more frequent inspections will result to ensure that the system poses no adverse impacts to the environment. For example a system with a 3 year licence period that fails two consecutive inspections will have its licence period reduced to 1 year. Conversely, where two (2) consecutive Council inspections confirm the system is operating satisfactorily, the system will be reduced one (1) risk class from its initial classification. For example a system with a 3 year licence period may be extended to 5 years upon its renewal. By applying this provision, property owners who have an on-site system that is installed and operated in a satisfactory manner are rewarded through reduced Council inspections and the associated fees. It should be noted that the provision for extending the licence period does not apply to primary treatment systems (eg conventional septic tanks with no secondary or tertiary treatment) located in an environmentally sensitive area or within 100m of a permanent water source. This acknowledges the high risk of environmental impact should a system of this description fail. As mentioned above, in the event of a failure or poor performance, systems within an environmentally sensitive area or within 100m of a watercourse pose a significant risk to the environment. To address this matter, the draft plan proposes that all new systems within these areas are required to be either secondary or tertiary treatment (aerated wastewater treatment system, sand filters, reed beds, etc.). The additional treatment provides a “better” quality of effluent by the reduction of pathogens and/or nutrients resulting in a lower potential adverse impact. The installation of any system within these areas will only be considered were there is no alternative location available. Where an existing system requires repairs or replacement, the proposed works are to comply with the new requirements. Council will consider alternative proposals on a case by case basis where compliance is physically not possible. Aerated wastewater treatment systems are accredited by the NSW Department of Health. As part of their accreditation, the systems are required to be serviced by authorised contractors on a quarterly basis. The matter has been raised by members of the public in relation to the “doubling” of inspections. One by an authorised contractor and then one by Council. In order to address this matter, the draft plan provides a concession for owners of an aerated wastewater treatment system that are subject to a “fixed service agreement” with an authorised contractor. The concession waives the requirement for Council inspection where the system is being inspected by an authorised contractor and quarterly service reports are submitted to Council. Council will only inspect the system when the service agreement expires. For example if the system is classified a high risk, a 1 year licence period and annual inspection by Council would generally be applicable. However if a 3 year “fixed service agreement” is in place Council will only inspect that system at the expiration of the service agreement. Council would not undertake an annual inspection. The Draft On-site Sewage Management Plan has been reviewed within Council’s Department of Environment and Planning. It is recommended that the document be made available for public exhibition and comment. The draft On-site Sewage Management Plan provides a strategy to ensure that the on-site disposal of domestic effluent occurs in a sustainable manner and with minimal adverse impact upon the environment. There are no social implications from this plan. The cost of installing, upgrading or replacing failed onsite systems places a financial burden on the property owner. Exposure to litigation may occur where it was proven that Council had failed to meet its statutory commitments. The implementation of this plan will assist in reducing any such exposure. The impact of the plan on current and future budgets is generally neutral. A minor reduction in income may occur where the frequency of inspections undertaken by Council are reduced. This reduction in income will be off set by a reduction in expenditure via payment to Council’s contractor undertaking the inspections. Funding is derived from fees associated with the lodgement of applications and inspections undertaken by Council. This On-Site Sewage Management Plan (strategy) was prepared in accordance with the requirements of the Local Government (General) Regulation, 2005. The Local Government Act 1993 requires all on-site sewage management systems to be licensed by Council. On-site sewage management systems (which include septics, aerated wastewater treatment systems, composting toilets, greywater systems, etc) are required in all non-sewered areas. These systems treat wastewater from a premise before being disposed of to an on-site land application area. Land application areas may include absorption/evaporation beds, subsurface irrigation or drip irrigation. The Plan provides information to applicants and the community about On-Site Sewage Management Systems and what must be included in an application to install, modify or operate such a system. On-site systems that are not performing satisfactorily may lead to significant environmental and public health issues. As such the long term viability and satisfactory performance of the system is fundamental in minimising any potential adverse impacts. Nambucca Shire Council is a rural Shire located on the Mid North Coast of New South Wales. It comprises a mix of towns, villages, rural residential and rural areas. The Shire is bounded on the north by Bellingen Shire and on the south and west by Kempsey Shire. It is roughly triangular in shape, being 1,433km2 with a coastline of approximately 20km. The Shire geographically represents the catchment units for the Nambucca River and its tributaries. The Shire can be divided topographically into two (2) broad areas. The western part comprises the rugged topography of the eastern edges of the New England Plateau, dominated by steep hill slopes and valleys with a significant area having slopes in excess of 33%. The eastern part of the Shire is characterized by the gentle slopes of the Nambucca River and Taylors Arm flood plains and adjacent undulating lands. From the elevation of 0.0 metres at the mouth of the Nambucca River to approximately 900 metres in the western part of the Shire. Much of the Shire comprises steep land (60%), with the remaining areas undulating (20%) or flat (20%). The most productive rural land is on the alluvial flats of the Nambucca River with some grazing on undulating slopes. Agricultural production comprises 19% of the total Nambucca area. Tourism and aquaculture make up a significant portion of the economy of the area. The principle type of aquaculture within the shire is oyster farming with leases along the Nambucca River. As at 19 November 2008 there were 2897 On-Site Sewage Management Systems registered with the Nambucca Shire Council. The Australian/New Zealand Standard 1547 - On-Site Domestic Wastewater Management (1994 & 2000) and the State Government document entitled Environment & Health Protection Guidelines - On Site Sewage Management for Single Households (which is currently under review) provide a framework for implementation of ecologically and socially sustainable On-Site Sewage Management practices. It is intended that this should be achieved, as far as possible, by a process of community and user education and by implementation of appropriate operating requirements in a manner that is sensitive to the local circumstances. Strategic management of existing septic systems and attention to address sewage management issues in new release areas is an important task for Council. Sewage management strategies need to be linked with related strategies for urban sewer services, and a greater emphasis placed on storm water and pollution control. Regulations gazetted on 6 March 1998 require owners of relevant premises to apply to Council for approval to operate and amend a system of sewage management. The Council is required to grant an operating approval (eg, a sewer management license). The granting of any such approval allows the Council to monitor performance on a regular basis and to levy an inspection fee (frequency will depend on area sensitivity) to cover reasonable costs. ¨ Provide a framework to manage and regulate the impact of On-Site Sewage Management Systems in the Nambucca Shire Local Government area and to ensure community accountability. ¨ Assist Nambucca Shire Council in prioritising resources for efficient regulation and monitoring of On-Site Sewage Management Systems within the shire area. ¨ Co-ordinate environmental assessment, data collection and monitoring which is related to On-Site Sewage Management. ¨ Allow for site assessment on risk management basis and consideration of alternate solutions on environmentally sensitive sites. ¨ Provide opportunity for education of system users through ongoing auditing programs. ¨ The protection of surface water and ground water. ¨ The protection of land and vegetation. ¨ Minimise the health risk associated with On-Site Sewage Management facilities. ¨ To encourage the re-use of resources eg the reuse of grey water after treatment through a council approved system. ¨ To promote ecologically sustainable development. ¨ To continue building and maintaining a database of all On-Site Sewage Management Systems. ¨ To map and maintain details of soil and site conditions and suitability for On-Site Sewage Management Systems. The mapping overlay being placed on Council’s GIS and use of this information in conjunction with site specific soil reports should provide beneficial data for all new systems being installed. ¨ To ensure that all land application areas comply with environment and health protection standards and Council operating requirements. ¨ To adopt a partnership approach with household and service agents to support continual improvement of On-Site Sewage Management systems. ¨ To determine the structures and facilities needed to support On-Site Sewage Management Systems. ¨ To ensure that all On-Site Sewage Management Systems are inspected by qualified people at regular intervals and are maintained as required. ¨ In co-operation with householders, to develop a site specific Sewage Management Plan for each household using an On-Site Sewage Management System. ¨ To review Council development standards and approval criteria for subdivision, development and building works to ensure that appropriate provision is made for sustainable On-Site Sewage Management when residential development occurs in non-sewered areas. ¨ To consult aerated wastewater treatment systems agents to ensure that maintenance reports certify that the system operation and land application of effluent is being done in compliance with the site requirements. ¨ To promote the use of suitably qualified service contractors that is acceptable to council. Such contractors may be recognised on a regional basis. ¨ Update references to guidelines, standards and legislation requirements. ¨ Asses the management plan against the eight (8) years of implementation to asses’ community concerns and any improvement that can be made to this plan. ¨ Continue with requirements of council’s management plan. ¨ Provide improved assessment standards. ¨ Upgrading of existing systems that are not performing satisfactorily. ¨ The phasing out of “long drop” toilets (pit toilets). ¨ Upgrade of greywater systems on larger rural properties. ¨ Upgrade access to tanks to ensure good maintenance and operation of the entire on-site system. ¨ Undertake ongoing education of operators and owners of on-site sewage management systems. ¨ Identify properties that have unregistered systems. ¨ Follow up on systems installed with unauthorised land uses. Under Section 68 of the Local Government Act 1993, Council approval is required for the installation, construction or alteration of a human waste treatment device or storage facility and drains connected to it. Council approval is also required for the ongoing operation of an On-Site Sewage Management System. Failure to obtain an approval or to comply with the conditions of an approval are offences liable to a maximum penalty of twenty penalty units (currently $2200). Clause 26 of the Local Government (General) Regulation 2005 sets out the details that are to accompany an application with Clause 29 specifying the matters Council must take into consideration when assessing an application to install or alter an on-site sewage management system. Council has responsibility under the provisions of the Local Government Act to maintain a register of On-Site Sewage Management Systems within their local government area. Local Government therefore has responsibility to ensure that each approved system is maintained and serviced correctly. Furthermore, Local Government has a legislative responsibility to ensure that approved systems are installed and operated according to approved specifications and any special conditions. The failure to operate or maintain a system in accordance with a Council approval or the requirements of NSW Health may lead to operating licenses being suspended/withdrawn, Orders issued or penalty notices being served. ¨ Land owners with On-Site Sewage Management facilities installed prior to the 6 April 1998 must apply to the Council to register their system and for approval to operate a System of Sewage Management. ¨ New performance standards for approvals to install, construct or alter an On-Site Sewage Management facility apply from the 6 March 1998. ¨ Land owners who install new On-Site systems after the 6 April 1998, must obtain Council approval to operate a system of sewage management prior to the intended date of occupation of the premises. ¨ Council’s were required to adopt an approved fee for applications for approval to operate any new system installed from 6 April 1998 by resolution and public notice under Section 612 of the Local Government Act 1993. This fee is included in Council’s Annual Management Plan. Council must not approve an application which would not comply with performance standards prescribed by the Regulation and must take into consideration, relevant guidelines and directions that have been issued by the Director General of Local Government. In 1998 the Local Government Act 1993 was amended to include new regulations for On-site Sewage Management (OSSM) Systems. ¨ Prevention of health risk. ¨ Protection of surface waters. ¨ Protection of ground waters. Conservation and re-use of resources. ¨ Protection of community amenity. ¨ To prevent the spread of disease by micro-organisms. ¨ To prevent the spread of foul odours. ¨ To prevent the contamination of water. ¨ To prevent the degradation of soil and vegetation. ¨ To discourage insects and vermin. ¨ To ensure that persons do not come in contact with untreated sewage or effluent in their ordinary activities on premises. ¨ To provide for the re-use of resources (including nutrients, organic matter and water). ¨ To minimise adverse impacts on the amenity of the land on which it is installed or constructed and other land in the vicinity of that land. Wastewater requires varying levels of treatment, depending on the method of disposal and the sensitivity of the site. Treatment is generally classified as primary, secondary or tertiary. Primary treatment is the separation of suspended material from wastewater by settlement and/or floatation in septic tanks, primary settling chambers, etc prior to discharge to either a secondary treatment process or to a land application system. Secondary treatment is generally an aerobic biological process involving the settling or filtering of effluent from a primary treatment system and provides an improved “quality” effluent. Tertiary treatment is the disinfection of effluent to destroy or remove pathogenic micro-organisms. Septic Tanks have been the most common method of On-site wastewater treatment in un-sewered areas of the Shire. A conventional septic tank built in traditional style comprises of tank, inlet and outlet fittings, possibly a partition, inspection and access holes and covers. Septic tanks can be single or multiple chambered tank through which wastewater is allowed to flow slowly to permit suspended matter to settle and be retained, so that organic matter contained therein can be decomposed (digested) by anaerobic bacterial action in the liquid. The term covers tanks used to treat all-waste, greywater or blackwater. Over the past fifteen (15) years the use of composting closets and aerated wastewater treatment systems have increased as accepted alternatives to traditional septic tanks. Composting toilets may be either a “wet’ or “dry” system. The waste material is deposited via a chute into a chamber where it is decomposed into humus by composting micro-organisms. Aerated wastewater treatment systems are accredited by NSW Department of Health and are essentially a compact treatment plant that processes all domestic wastewater from premises. They contain a primary settling chamber, an aeration chamber, a clarification chamber for the further settling of suspended solids and a chlorination chamber for disinfection. It is a requirement of NSW Health that the systems are inspected and serviced on a quarterly basis. reed beds are available and being promoted within the Shire. Reed beds consist of impermeable ponds which are filled with a media such as rock, gravel or coarse sand. The media supports the root system of the vegetation. As the wastewater flows through the media the root system removes some of the nutrients and uptakes moisture via transpiration. With sand/membrane filtration, effluent that has undergone a primary treatment is collected in a sump or holding well and is pumped intermittently for distribution through a bed of coarse sand. A diversion valve is placed in the return line to the sump, and the effluent is directed to a land application system. Greywater is wastewater from all fixtures excluding the kitchen, toilet or urinal. With clean water becoming a scarce resource, the reuse of greywater is an increasingly important consideration. Greywater “diversion devices” may be used for subsurface disposal within the garden in conjunction with an approved on-site sewage management system. Where reuse within the home for washing machine or the flushing of toilets is proposed a greywater “treatment system” accredited by NSW Health is required to be installed. NSW Health has various publications available that outline the requirements for diversion and/or reuse. Effluent that has been treated may be discharged to a land application area. Application areas vary in their design and method of disposal to suit a range of factors including, type of treatment system, climatic conditions, site constraints, etc. Absorption trenches and beds are designed to dispose of treated effluent by percolation into local soils. As absorption is the primary method of disposal this style is ideally suited to soils with a mid range percolation rate. Soils that are too dense will not permit the migration of the effluent leading to flooding of the trench. Conversely soils that drain too freely (sand, gravel, etc.) may not provided adequate filtration of the effluent and risk contamination of groundwater supplies. Absorption trenches and beds are the most widely used on-site disposal systems throughout the Shire. Evaporation/transpiration areas place effluent into the root zone of plants allowing transpiration and evaporation while sub-soil soakage is maintained. They generally have a large surface to depth ratio in order to maximise effluent infiltration of the vegetation root zone. Climatic conditions are a critical consideration in the design of these systems as wet weather may have a significant adverse affect on the efficiency of the evapotranspiration area. Subsurface irrigation is generally employed with a pressurised system utilised in conjunction with an AWTS or other secondary treatment system. The effluent is typically disposed of in shallow trenches over a large area which can incorporate gardens or the like. The pressurised system permits the disposal area to be located at a higher elevation than the treatment chamber and therefore provides more opportunities to maximise reuse. Note: Conventional treatment methods of wastewater cannot remove all bacteria or viral organisms. Exposure or contact may result in adverse health effects and as such the surface disposal of effluent via spray irrigation or other method is not permitted within Nambucca Shire. Historically, the design and selection of on-site sewage management systems only received cursory consideration which was reflective of the technical standards and requirements of the time. With the release of Australian Standard 1547-1994 (subsequently superseded in 2000) and the State Governments Environment and Health Protection Guidelines for On-Site Sewage Management (1998) the standards of design altered to reflect the need for specific site, soil and climatic assessment. It is also relevant to mention that prior to the Approvals provisions of the Local Government Act, 1993 the NSW Health Department had responsibility for the approval of all sewage management installations in un-sewered areas. 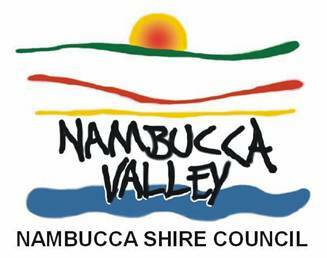 3 Nambucca Shire Council On-site Sewage Management Plan. Special note should be made that only under extreme circumstances will an on-site sewage management system be permitted within 100 metres of a permanent waterway or environmentally sensitive area. With such a proposal, the system must include a secondary or tertiary treatment component and be sited to maximise any available buffer. The installation and operation of any new on-site sewage management system requires the prior approval of Council. An Application to Install an On-site Sewage Management System shall include a written report detailing the type of system proposed and a specific site and soil assessment for the subject property. Council will assess the application for compliance with AS/NZS 1547-2000 On-site Domestic Wastewater Management with consideration of the requirements from Environment and Health Protection Guidelines – On-site Sewage Management for Single Households. · A recommendation for the proposed configuration and location of the system along with supporting calculations. · Indicating the distance to any environmentally sensitive area eg rivers, creeks, farm dams, bores, dry gullies, etc. · Certificate of Accreditation from the NSW Department of Health. Existing systems that are failing and require modifications are to be upgraded to comply with the requirements for new systems where possible. A system is considered to have “failed” when it does not satisfactorily address the performance standards identified within this plan. Where compliance with the new requirements is not possible, Council will consider alternative proposals on a case by case basis. The protection of the environment and public health are dominant considerations in such a circumstance. A preliminary assessment of the site constraints and soil condition are to be accompanied by the modified design along with supporting calculations. The preliminary assessment may be undertaken by persons with appropriate knowledge and experience (eg a licensed plumber). The design and installation of new on-site sewage management systems should ensure all components of the system are located above the 1:100 year flood level. Where this cannot be achieved the treatment system components are to be located above the 1:100 year flood level with the disposal area to be above the 1:20 year flood level for the relevant site. Electrical components, vents and inspection openings of wastewater treatment devices should be sited above the 1:100 year flood level. ¨ Overflow Relief Gullies if installed are to be terminated above the 1 in 100 year floor level, provided this level is not above the fixture flood level or floor waste level in the building connected to the system. See AS 3500 for details. ¨ Where flood free land is available on the site consideration be given to pumping liquid effluent to disposal facility above the 1 in 100 years flood level. For land where no established flood levels are held by Council, documented evidence is to be submitted demonstrating the site is unaffected by flooding (eg historical information, photographs, etc). Applications for installation of an on-site sewage management system were not required in rural areas prior to the building regulations being extended to the rural areas from the 1 March 1982. This has resulted in a variety of standards and type of systems for on-site sewage management being installed within the rural areas of the shire during these unregulated years. b Encouraging facility owners to upgrade these older systems to ensure that their systems are operating and being maintained appropriately and also acknowledging the limitation that apply to these older systems. The resources in domestic wastewater (including nutrients, organic matter and water) should be identified and utilised as much as possible within the bounds posed by the other performance objectives and regulatory requirements. Water conservation practices should be encouraged and subsequent wastewater production minimised. The level of wastewater treatment and the methods of disposal required depend not only on the nature and sensitivity of the receiving environment, but also on the potential uses of the treated wastewater and bio-solids. All on-site sewage management systems require, to varying degrees, maintenance and servicing to be undertaken. It is inappropriate to install a sewage management system and to expect it to perform adequately without maintenance and performance inspections being carried out. Education of the system user is considered fundamental to the satisfactory performance of an on-site sewage management system. The above principles have been used to identify a range of goals and actions which are considered integral to achieving more sustainable sewage management outcomes in un-sewered areas. These goals and actions have been developed into an action plan. Poor maintenance of components of an on-site system can severely impact on health of the surrounding public and that of the tenant or occupier of the premises connected to the system. Both blackwater (toilet waste) and greywater (all other sources) contain high bacterial loads and can be breeding grounds for insects and a vector for disease. ¨ Efficient and effective administration. ¨ Appropriate regulation and enforcement. The regulatory process has been developed to ensure compliance with both stages of the approval process being Installation and Operation of the system. Aspects of Council’s Action Plan have been included in Council’s Annual Management Plan for quarterly reporting. ¨ Ordinary rates for general administration and services. ¨ Special rates levied on particular parcels of land that have access to, benefit from or contribute to the need for particular programs and services. ¨ Charges for On-Site Sewage Management services. ¨ Approved fees for service (including regulatory services to individuals). ¨ Develop a charge under Section 94 of the Environmental Planning and Assessment Act. ¨ Fair, equitable and minimises financial impact. Having regard to the above it is proposed that actions which involve environmental assessment, monitoring and reporting and community education be funded through charges levied on premises using sewage management facilities. Provision has been made within Council’s Management Plan for the development and ongoing monitoring of the On-site Sewage Management Plan. The legislation requires individual site management plans to be developed. ¨ Approvals to install and operate an On-Site Sewage Management System fee (one-off payment). ¨ Approval to amend an existing on-site sewage management system. ¨ Renewal fees for issuing an operating approval for existing systems. ¨ Pre purchase inspection of on-site sewage management system. ¨ Registration fee for existing systems installed prior to 1999. ¨ Issue a copy of an operating approval. ¨ Application to change ownership details on operating approval. Note: Council is the only authority who can issue approvals to operate an on-site sewage management system under Section 68 (6) of the Local Government Act 1993. ¨ Improved effluent quality through secondary/tertiary treatment. ¨ Increased margin of safety such as an increase in disposal area or an alternate method of disposal. ¨ The supplementary maintenance programs such as increased frequency of inspection. ¨ Landscaping and appropriate tree planting. ¨ Identification of a reserve area on site for replacement of on-site disposal area in case of a major failure. The following table depicts both major and minor limiting site features. Each of these site features will be considered on applications to install any on-site disposal system. ¨ 100 metres to a permanent surface water (eg river, streams, lakes etc). ¨ 250 metres to domestic ground water wells, bores and spear pumps. ¨ 40 metres to other waters (eg dams, intermittent waterways and drainage channels, etc). ¨ Six (6) metres down gradient it to swimming pools, property boundaries, driveways and building. ¨ Three (3) metres to paths and walkways and up gradient to driveways and property boundaries. ¨ Three (3) metres from edge of disposal area to boundaries at same contour level as the disposal area. ¨ Twelve (12) metres if area up gradient of property boundary. ¨ Six (6) metres if area down gradient of property boundary. ¨ Six (6) metres if area up gradient of swimming pools, driveways and buildings. ¨ Three (3) metres if area down gradient of swimming pools, driveways and buildings. ¨ Three (3) metres from ends of trenches to boundaries at same contour level as trenches. Where compliance with the above buffers is not possible, Council will consider alternative proposals on a case by case basis. The protection of the environment and public health are dominant considerations in such a circumstance. Special note should be made that only under extreme circumstances will an on-site sewage management system be permitted within 100 metres of a permanent waterway or environmentally sensitive area. With such a proposal, the system must include a secondary or tertiary treatment component and be sited to maximise any available buffer. Note: All Reserve areas for effluent disposal are to be indicated on the plan and this area is to be preserved for future disposal of effluent. Risk assessment and evaluation of on-site disposal systems will be undertaken on a site specific basis. The risk assessment for a system failure will be determined according to the proximity of the environmentally sensitive areas and potential for negative impact upon human health. History of failure will also be a contributing factor in determining risk assessment. The risk evaluation will determine the frequency of inspections undertaken by Council and will vary from one (1) to ten (10) years. The Risk Assessment score is determined by a matrix which provides a weighting to the issues considered in undertaking the evaluation. The matrix is represented in Table 12.2. If a system fails the risk assessment inspection, a direction will be given to improve maintenance, operation or upgrade the system as required. If a system fails two (2) consecutive inspections the risk category will increase one class and further action may be necessary to provide an alternate disposal system on the property. If a particular system is increased in risk classification, an increase in the frequency of inspections will result to ensure that the system poses no adverse impacts to the environment. In the event of two (2) consecutive risk assessment inspections confirming the system is operating satisfactorily, the system will be reduced one (1) risk class from its initial classification. This concession does not apply to primary treatment systems located in an environmentally sensitive area or within 100m of a permanent water source. 1 Any system not complying with the minimum buffer distances for permanent water or is located in an environmentally sensitive area (flood prone, high water table, etc) is subject to a Class 1 Risk Category. 2 An Aerated Wastewater Treatment System may be reduced one (1) risk classification where a signed service agreement is in place between the system owner and a service contractor acceptable to Council. A copy of the quarterly inspection report undertaken by the contractor is to be submitted to Council. In this circumstance the Council inspection will be undertaken on the expiry or termination of each service agreement. 3 All on-site sewage management systems within 100 metres of any permanent waterway must include a secondary or tertiary treatment component. Council maintains a commitment to the continuing improvement in the regulation and operation of On-Site Sewage Management Systems. The sewage management plan will be a “living” document that is undergoing a process of continual improvement. Council’s resources have been stretched in areas where there are large numbers of on-site sewage treatment facilities and a permanent contractor has been engaged to undertake the renewal assessment inspections as there is a need to provide and improve treatment and monitoring of the program. ¨ That the outcomes being achieved reflect the goals and objectives of the plan. ¨ That the goals and objectives are still relevant and continue to meet community, council’s and environmental & public health expectations. ¨ Develop best practice notes and fact sheets and make these available from the council website for property owners to assist with maintaining systems and improving there performance. ¨ That the plan accommodates changes to legislation and new technology. Aerated wastewater treatment systems provide tertiary treatment of effluent and are accredited by NSW Department of Health. They are essentially a compact treatment plant that processes all domestic wastewater from premises. They contain a primary settling chamber, an aeration chamber, a clarification chamber for the further settling of suspended solids and a chlorination chamber for disinfection. It is a requirement of NSW Health that the systems are inspected and serviced on a quarterly basis. Composting toilets use a process of biological degradation by micro-organisms to convert waste material into humus. The compost from compost/humus toilets must be removed on a regular basis and can be disposed of on-site by burial. The design and configuration of the systems vary significantly. A septic tank provides primary treatment of effluent and usually comprises two chambers. These chambers can be separate or within the one tank. The first or primary chamber allows some of the solids to settle to the bottom of the tank and oils and fats to rise to the surface to form a scum layer. The solids that settle to the bottom of the primary chamber undergo anaerobic decomposition forming sludge. The second chamber permits further settling of solids and creation of a scum layer before the effluent is discharged to a land application area (usually absorption trenches or evapotranspiration areas). An elevated mound is typically a large mound of varying height made of sand or other course media. A network of small diameter pipes with small perforations distributes the effluent uniformly over the absorption area of the mound. The effluent infiltrates into and percolates through the media before being absorbed into the natural earth. These systems provide primary treatment and comprise of two tanks - one receiving wastewater from the toilet, and the other receiving wastewater from the combined laundry, shower & possibly kitchen (depending on proposed method of disposal/reuse). Some systems included a 'grease-trap' in the plumbing between the kitchen and the septic tank, to limit the amount of fats and oils going to the tank. After the wastewater has undergone primary treatment the effluent may be further refined to secondary or tertiary quality. By this further process pollutant levels within the wastewater can generally be reduced to a level that is readily manageable. However, effluent from some treatment systems may still be biologically active and contain high levels of pollutants. There have been many developments in the area of ancillary on-site sewage management systems. These systems can be added to the main treatment train with the objective of improving the effluent quality, and so enabling the treated wastewater to be managed in a larger number of ways. These ancillary systems are not considered to be treatment systems requiring certification by NSW Health. At this stage they are considered optional, but they are worthy of consideration. A simple device used to divert some or all of the grey water to garden applications. Only to be used during times of low rain fall. Note cannot be used all the time. Absorption: The uptake of effluent into the soil by capillary action. Aerated Wastewater Treatment System (AWTS): A system which uses the process of aeration followed by clarification and disinfection to treat wastewater. Composting Toilet: Composting toilets collect and treat toilet waste only. Water from the shower, sink and washing machine, etc. needs to be treated separately. The compost produced has special disposal requirements but is usually buried. Disposal Area: An area of land specifically designated for the application of treated effluent. Effluent: Wastewater discharging from a sewage management system. Evapotranspiration: Process by which soil moisture is subject to processes of evaporation from the sun and wind and is transpired to the atmosphere by vegetation. Greywater (or sullage): Domestic effluent, excluding toilet waste and depending upon method of disposal my exclude kitchen waste. Guidelines: Environment and Health Protection Guidelines – On-site sewage Management for Single Households. On-site Sewage Management System (OSSM): Any facility that stores, treats and/or disposes of sewage and wastewater and requires an approval to operate issued under the Local government Act 1993. Pump-out System: A septic system where all accumulated wastewater is removed from site by a purpose built tanker. Such systems generally incorporate both a primary septic tank and a collection well. Run-off: The part of precipitated effluent that becomes surface flow because it is not immediately absorbed into the soil. Septic Tank: A sealed vessel that treats greywater, blackwater or both bur provides only limited treatment through the settling of solids and the flotation of fats and greases. Wastewater: The combined blackwater and greywater from a domestic premise. A draft management plan has been prepared to assist Council staff when dealing with such matters. This document also proposes to assist shire residents in making informed choices as to the appropriateness of certain types of animals in urban and rural-residential areas. 1 That the Draft Nambucca Shire Council Animal Management Plan 2009 be advertised for community consultation from 29 January 2009 to 27 February 2009. 2 That following the exhibition period, a further report be presented to Council for consideration and adoption of the Management Plan. The relevant legislation does not specify number of animals that may be kept on a property as this provision was removed with the new Local Government Act, Companion Animals Act and changes to the Local Government Regulations. Council may however, prepare a Management Plan to guide the community on acceptable numbers and their location of animals that may be kept on residential and rural residential properties. This draft document has been prepared using actual cases of conflict as the guide for the establishment of numbers and setbacks. The intent of now placing the document on public exhibition will give the community the opportunity to support, oppose or offer suggestions towards the identified controls. Once adopted it is envisaged that the Plan will give Council staff the ability to deal with animal-associated complaints more rapidly, thus saving valuable time. Social benefits for those living in target land-use areas through a more efficient dispute resolution pathway. This document serves to inform members of the communities within the Nambucca Shire as to their rights and responsibilities when keeping animals. This Plan outlines the legal requirements and responsibilities of animal owners, and also offers advice and guidance to ensure that the keeping of animals is conducted in the most healthy and harmonious manner possible. The purpose of this Plan is to supplement provisions of the Local Government Act 1993 and Regulations by specifying matters that Council must take into account when determining whether or not to issue an Order under Section 124 of that Act. This Plan will allow Council Regulatory Officers and members of the public to ensure that the objectives of Schedule 2 Part 5 of the Local Government (General) Regulation 2005 – Standards for Keeping Birds or Animals, are observed when taking these matters into consideration. This Schedule is attached to the end of this Plan as Appendix 1. This Plan applies to the keeping of animals for domestic purposes as companion pets or for hobby interests. However, the principles contained in the prescriptive requirements also apply to the keeping of animals for commercial purposes including breeding, boarding, grooming, caring, treatment, racing, exhibiting, trading or selling. This Plan addresses statutory and community-based obligations for animal management practices in different land use areas. The land-use areas referred to in this Plan are described in the Nambucca Shire Council’s Local Environment Plan (LEP) and shall include Urban or Residential zones and Rural Residential zones as well as Rural land abutting any of these previously mentioned zones. Guidelines or obligations for the keeping of animals in rural zones are not prescribed or controlled by this Management Plan. Unless specified otherwise, the Act referred to in this Plan is the Local Government Act 1993. A dictionary defining the most important terms used in this Plan is taken from the dictionary for that Act, listed as Appendix 3 of this document. The number of animals that may be kept at a premises is not to exceed the number shown as listed in the Table of Requirements included with this Plan. The keeping of horses and cattle on properties of less than 5, 000 m2 is not considered appropriate. Free lofting* is prohibited in urban areas. 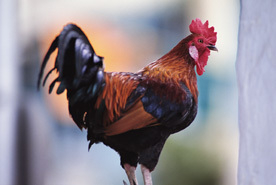 Keeping of poultry must not create a nuisance or be dangerous or injurious to health. Poultry yard must at all times be kept clean and free from offensive odours. Council may insist on the keeping of domestic poultry or guinea fowl at a distance greater than 4.5 metres in a particular case. The floors of poultry houses beneath roosts or perches must be constructed of impervious material (eg concrete or mineral asphalt) if constructed on, or within 3m, of a property boundary. This does not apply to poultry houses that are located at a distance greater than 15.2 m from a dwelling, public hall or school. Where impervious material is not required the floor of the poultry house is to be covered with clean sand or other suitable material. The rabbit is a declared noxious animal under the Rural Lands Protection Act, 1989. However, two domestic breed pet rabbits, securely housed, are permitted per residential allotment. Billy goat or rams should not be kept on a residential property in an urban area. Free lofting* is prohibited in rural residential areas. 15.2 metres from a dwelling, public hall or school. Where impervious material is not required the floor of the poultry house is to be covered with clean sand or other suitable material. 1 Without limiting clause 1, swine must not be kept (and swine’s dung must not be deposited) within 60 metres (or such greater distance as the council may determine in a particular case) of a dwelling, shop, office, factory, church or other place of public worship, workshop, school or public place in a city, town, village or other urban part of an area. 1 Fowls (that is, birds of the species Gallus gallus) or guinea fowls must not be kept within 4.5 metres (or such greater distance as the council may determine in a particular case) of a dwelling, public hall, school or premises used for the manufacture, preparation, sale or storage of food. 2 Poultry (other than fowls referred to in subclause (1)) must not be kept within 30 metres of any building referred to in subclause (1). 1 Horses and cattle must not be kept within 9 metres (or such greater distance as the council may determine in a particular case) of a dwelling, school shop, office, factory, workshop, church or other place of public worship, public hall or premises used for the manufacture, preparation or storage of food. Council resolved to prepare a Local Environmental Plan (DLEP 67) for the rezoning of the Valla Growth Area. The individual studies required for the Local Environmental Study are well underway with the two major landowners covering the costs of these studies so far. Concept layouts are being prepared and finetuned to reflect the intent of the growth area as outlined in the adopted Structure Plan, subject to site constraints. The purpose of the site visit is to provide Councillors with an overview of the area and the rezoning processes. No real options at this stage as Council has resolved to proceed with the rezoning and that process is continuing. The Valla Growth Area (Cow/Boggy Creek area) has been identified as a future growth area since the adoption of the Nambucca Shire Urban Growth Strategy back in 1996. The area was revisited as part of the Structure Plan process which was adopted by Council in September 2007. The Structure Plan identified this area for the future growth of large footprint Industrial/Highway Industry uses along with other complimentary urban uses. Progress has been made with the various studies for inclusion in the Local Environmental Study required for the rezoning. Concept zoning layouts are being developed and refined as the land constraint studies are completed. The intent of the site visit is to provide the new Council with an understanding of the process so far and provide some familiarisation of the Valla Growth Area. The rezoning process must investigate and consider all environmental features and issues associated with the land the subject of the rezoning. The rezoning process must investigate and consider the various Social issues associated with the proposed rezoning. The rezoning process is a costly process with no guarantees of an outcome with the extent of land able to be developed and rezoned. The rezoning process has a considerable risk as the final outcome is not always what was first considered achievable. Council has set aside funds in the current 2008/09 Strategic Planning program for the completion of a number of reports to finalise the Local Environmental Study. Additional reports may be required in the future which would need to be considered and budgeted for. The original development application (DA 2008/269), lodged on 23 June 2008, was for the construction of a deck and garage, and internal alterations to a building in High Street, Bowraville (Old Scout Hall). Routine assessment of the application revealed that no approval had been previously granted for residential occupation of this building. The approved use of the building was for a Scout Hall. The applicant was then asked to lodge a modification to the original development application, to seek a change of use for the building to allow residential occupation. Since notification of primary development application on 22 July 2008, several submissions have been received relating to conflicting landuse if the commercial premises are converted to residential use. The submissions raised concerns about potential loss of commercial premises in Bowraville’s main street, parking and noise issues, and concerns about the condition of building and adequacy of natural light. After consideration of this application under the relevant legislation and Council requirements, there appears to be no impediment to Council approving this application, provided relevant development requirements are considered and placed as conditions on the Development Consent. 1 That development application 2008/269 for minor building works and change of use be approved subject to conditions included in this report. 2 That those persons who made submissions to the application be advised of Council’s decision. As an alternative to the recommendation, Council has the option to refuse the application on the basis of potential noise and conflicting landuse issues. The DA proposal is for the construction of an attached deck on an existing timber building, minor alterations to the interior layout of the building, and the construction of a detached garage. Additionally, the DA has been modified to include approval for a change of use to the commercial building, to allow for residential use. The proposed 10 x 8 m metal garage to the rear of the property will provide off-street parking with access from rear lane (Adams Lane). The proposed use of this building as a combined dwelling/commercial premises under it’s current zoning (2(v) - Residential (Village)) is supported by Council’s LEP. In addition, a subsequent survey of nearby buildings in High Street, conducted by Council Health & Building Officers on 1 October 2008, determined that many of the commercial premises in High Street have a residential component attached. With respect to conflicting land use, it appears that the butcher’s shop adjoining the proposed development site is the only commercial operation in this part of High Street. The applicant has stated that they intend to retain the commercial component of the building, to ensure the potential for commercial use of this building is preserved. One issue, which has not been raised in submissions, is the proposal to erect a timber picket fence along the boundary adjoining Nos 48 and 50 High Street. This is an area of concern, as the means of access to refrigeration equipment and hot water heater for 50 High Street. has been through the yard of the subject property. Although not formally recognised, this arrangement between neighbours appears to have existed for many years. This application has been considered by Council’s Engineering Services and Environment & Planning Departments. Engineering services required the proposed garage to be set back one (1) metre from the boundary to allow continuing access to sewer line. The application was notified to surrounding premises and four (4) submissions were received. The issues raised in submissions have been considered by Council’s Health & Building Staff during the assessment of this application, as discussed in the following sections. land uses required within small urban communities. DCP 9 – Bowraville Heritage Guidelines applies to the site. The proposal complies with the Aims of this DCP, as described in Section 1 Part (e) (i), (ii), (iii), and (v). The proposal is compliant with DCP 9 as there is no intention to alter the frontage of the building, hence no impact on the character or streetscape of High Street is anticipated. DCP 11 – Building Line setbacks for residential buildings do not apply to this development. The proposal is for a building already constructed, the setback of which is consistent with the setback lines of adjacent buildings, and is in keeping with the character of the streetscape in this location. The proposed garage will be set back one (1) metre from the rear boundary. The main concern with the proposal is the perceived land use conflict issues and amenity. Impacts, if any, are anticipated to be of a minor nature. Assessment of this application suggests that conflicting land-use concerns, as raised in the submissions, have little basis as this area has traditionally been subject to mixed landuse, in the form of commercial premises with attached or ancillary residential components. In the past, these types of uses have co-existed with little conflict arising as a result. Issues relating to the amenity of the site are likely to have little impact on occupants or neighbouring residents or business operators. Issues such as privacy for residents of the proposed development can be managed through conditions placed on the development consent. Noise issues arising from the operation of commercial premises can be addressed by insulating the residential component of the development in accordance with the BCA. This application and concerns raised by the adjoining premise operator, highlights potential future issues leading with competing landuses within the 2(v) Village zone. As identified in this proposal, the potential impacts between the residential expectations and those expectations of the commercial operator (Butcher), to continue operating as has been the case for many years, where there is a need to start early and refrigeration equipment and motors are required to run 24 hours a day, 7 days a week. The proposal presented to Council is likely to occur more regularly as some of the smaller village areas experience a reduced commercial activity and an increase in residential living, which are both permissible landuses within the 2(v) Village zone. The potential conflicts associated with noise will need to be monitored and dealt with, hopefully in a sympathetic and understanding way to ensure both competing landuses may continue to co-exist without one landuse being considered “superior” to the other. 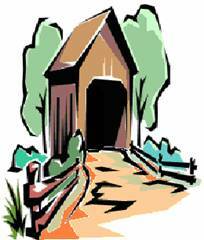 · there is access to the property via a rear lane (Adams Lane). The site is serviced and reasonably flat and level and is therefore considered to be unconstrained. There are no constraints which would preclude developing the land for the purpose of a mixed classification building with combined residential and commercial components. Given that the buildings already exist, fire separation between adjoining buildings will need to be carefully considered to provide the highest possible level of fire protection to prevent the spread of fire between buildings. The application has been notified to adjoining landowners for a period of 14 days. Four submissions were received regarding the proposed development. These submissions have been attached to this report. 1 Pursuant to Section 79C(1)(a)(i) of the EP&A Act, the proposed use of the building is consistent with the standards for zoning in this area in accordance with Part 3 of Council’s Local Environmental Plan (LEP). 2 Pursuant to Section 79C(1)(b) of the EP&A Act, the proposed development complies with land uses and activity in the locality; precedent exists for mixed commercial and residential classification for buildings in this area. 3 Pursuant to Section 79C(1)(b), off-street parking access is possible from lane at rear of property, the use of rear-lane access for parking purposes is common in this area. A garage for parking of vehicles is part of this proposal. 4 No records of noise complaints against neighbouring dwelling(s) by current occupant are registered on Council’s Customer Request System. Any such complaints would be dealt with under the Protection of the Environment Operations (Noise Control) Regulation 2000. 5 Pursuant to Section 79C(1)(b) of the EP&A Act, amenity issues can be addressed through normal DA approval process. 6 Residential component of building will be required to comply with appropriate BCA obligations for fire safety, facilities, light and ventilation and for protection from the spread of fire between residential and commercial components of building. Acknowledging that the development involves an existing building, it is not proposed for Council to require complete compliance with the BCA, but more to achieve an acceptable level of occupant safety. 7 No intention exists to serve a demolition order on the existing building, which has been used as a residence since 1997. Council encourages the recycling of existing buildings under the principles of environmental sustainability. Council has the responsibility of balancing competing interests to prevent inappropriate development, while allowing individual landowners the opportunity to develop their land. A consistent application of development standards is important for Council to demonstrate that it is acting in the public interest. The proposed development will have no adverse impacts on the natural environment. The recycling of existing buildings is encouraged under the principles of environmental sustainability. No adverse impacts anticipated from this application. There are no economic implications arising from the proposed development. However, there may be costs to Council depending on the outcome of the determination and if an appeal is lodged by the applicant. The adoption of a consistent approach to development control, combined with a proper assessment under Section 79C of the EP&A Act 1979, will mitigate any risks to Council that may arise following determination of an application. There may be financial implications to Council arising from the determination of the development application. In accordance with the provisions of the EP&A Act, the applicant has the right of appeal should they be unhappy with the decision of Council. This development consent includes the works within the road reserve set out in the table below. The work must be carried out in accordance with the standard specified in the column opposite the work. All works are to include the adjustment and/or relocation of services as necessary to the requirements of the appropriate service authorities. 10 metres wide. Paving to be 100mm thick reinforced with construction joints to suit service trenches. The footpath crossing must be designed to provide a cross-fall of 1 % or 1:100 (maximum 2.5% or 1 in 40) for a width of at least 2.4 metres to provide for pedestrians with access disabilities. a All building work must be carried out in accordance with the requirements of the Building Code of Australia as in force on the date the application for the relevant construction certificate or complying development certificate was made. b In the case of residential building work for which the Home Building Act 1989 requires there to be a contract of insurance in force in accordance with Part 6 of that Act, that such a contract of insurance is in force before any building work authorised to be carried out by the consent commences. b to the erection of a temporary building. ii if the owner-builder is required to hold an owner-builder permit under that Act, the number of the owner-builder permit. If arrangements for doing the residential building work are changed while the work is in progress so that the information notified above becomes out of date, further work must not be carried out unless the principal certifying authority for the development to which the work relates (not being the council) has given the council written notice of the updated information. In accordance with Clause 94 of the Environmental Planning & Assessment Regulation 2000 Council requires the existing building(s), subject to a development application, be bought into total compliance with the fire safety provisions of the Building Code of Australia Part C1 and Table C1.1 of BCA Vol 1. The application for a Construction Certificate is to include Structural Engineer's details and a certificate certifying that the design for the footings has taken into account the effect on the garage, should excavation of the sewer line be necessary, see special conditions re position of garage & sewer main. c Double glazing of bedroom windows to assist in sound attenuation. All Plumbing, Water Supply and Sewerage Works are to be installed and operated in accordance with the Local Government Act 1993, the NSW Code of Practice for Plumbing and Drainage and AS/NZS 3500 Parts 0-5, the approved plans (any notations on those plans) and the approved specifications. The plumber must obtain a Plumbing Permit at least two (2) working days prior to commencing work in accordance with the Local Government Act and the NSW Code of Practice for Plumbing and Drainage. The proponent must ensure the plumber has obtained a Plumbing Permit prior to commencing work on the site. iii has been given a declaration, signed by the owner of the land, that states that the reasonable market cost of the labour and materials involved in the work is less than the amount prescribed for the purposes of the definition of owner-builder work in Section 29 of that Act, and is given appropriate information and declarations under paragraphs (a) and (b) whenever arrangements for the doing of the work are changed in such a manner as to render out of date any information or declaration previously given under either of those paragraphs. Note: The amount referred to in paragraph (b) (iii) is prescribed by regulations under the Home Building Act 1989. As at the date on which this Regulation was Gazetted that amount was $5,000. As those regulations are amended from time to time, so that amount may vary. A certificate purporting to be issued by an approved insurer under Part 6 of the Home Building Act 1989 that states that a person is the holder of an insurance policy issued for the purposes of that Part is, for the purposes of this clause, sufficient evidence that the person has complied with the requirements of that Part. a Monday to Friday, from 7.00 am to 6.00 pm. b Saturday, from 8.00 am to 1.00 pm. All builders rubbish is to be contained on the site in a ‘Builders Skips’ or an enclosure. Building materials are to be delivered directly onto the property. Footpaths, road reserves and public reserves are to be maintained clear of rubbish, building materials and all other items. All disturbed areas must be stabilised and revegetated. Turfing or another approved seeding method must be undertaken in each part of the development within 7 days of completion of earthworks. Topsoil must be preserved for site revegetation. Details of sediment control measures and revegetation works must be submitted to the Principal Certifying Authority for approval prior to release of the Construction Certificate. This condition relates specifically to the proposed garage. A survey certificate prepared by a registered surveyor is to be submitted to the Principal Certifier upon completion of the floor slab formwork, before concrete is poured, to ensure the siting of the building in relation to adjacent boundaries is in accordance with the development consent. Stormwater must be collected and disposed of to the kerb and gutter via a suitably manufactured kerb adaptor. Drainage lines within the road reserve must be sewer class or other approved equivalent. All drainage works are to be installed by a suitably qualified person and in accordance with the requirements of AS/NZS 3500.3:2003 - Plumbing and drainage, Part 3: Stormwater drainage. All of the works indicated on the plans and granted by this consent, including any other consents that are necessary for the completion of this development, are to be completed and approved by the relevant consent authority/s prior to the issue of an Occupation Certificate. The bond paid for this application will be held until Council is satisfied that no further works are to be carried out that may result in damage to Council’s road/footpath reserve. Sewer and water supply is to be connected to the premises in accordance with an approval granted under Section 68 of the Local Government Act 1993. The premises are not to be converted for use for dual occupancy purposes without the prior consent of Council. 1 To comply with the provisions of Nambucca Local Environmental Plan 1995. 2 To ensure that the movement of traffic along the public road is not interfered with by activities relating to the development, and/or to comply with traffic regulations. 3 To preserve the environment and existing or likely future amenity of the neighbourhood. 4 To provide and/or maintain an adequate drainage network that will not cause damage to existing or future development. 5 To ensure adequate access to and from the development. 6 To ensure that the land or adjoining land is not damaged by the uncontrolled discharge of runoff of stormwater from any buildings and paved areas that may be constructed on the land. 7 To protect the environment. 8 To preserve the amenity of the area. 9 To ensure public health and safety. 10 To ensure compliance with the Roads Act 1993. 11 To ensure the garage is located wholly within boundary of subject property, without encroachment onto adjoining land. A request was received from a resident in Bellevue Drive, Macksville for the removal of two large fig trees. The views of the other landowners in the immediate neighbourhood were sought. Four of the seven responded and 50% were for and 50% against. That Council not remove the fig trees from the western end of Bellevue Drive, Macksville as the neighbourhood has divided views and the cost is significant. A resident from the western end of Bellevue Drive, Macksville has requested that two large figs be removed because of the leaf litter. There are two large trees and one small fig tree and while they are undesirable species (root intrusion) they are a feature of the neighbourhood. For this reason a letter was sent to the seven properties in the immediate neighbourhood. 1 Strongly against the removal. They are healthy and not diseased. In the heat of summer they cast a large shade area. 2 Object, they pose no threat and are lovely and an asset to our street. 3 Please consider removing the trees, ongoing problem with the large leaves dropping in the front yard and gutter. Worry about children climbing the trees and about branches falling onto the house. Elderly and have to rely on others to help. The trees attract bats. 4 Would love the trees to be gone, big on-going job cleaning up the leaves. The leaves block the storm drain. The roots are difficult to mow around for Council staff and eventually the footpath will be damaged. Concerned about children falling from the trees. Site of recent vandalism. The views are evenly split from the four respondents. Under such circumstances the status quo should remain. Seven landowners of the neighbourhood. The trees in question are Ficus macrophylla, Moreton Bay Fig, which are native to Eastern Australia. The trees are an important part of the landscape in that section of the street. The cost of the work has to be funded but no other implications arise. These trees would be funded from the tree maintenance budget of $15,000 (General). The estimated cost is $5,000 ($2,000 each and $1,000 for the small one). There are two large and one smaller fig trees growing on the southern side of Bellevue Drive, Macksville in your neighbourhood. Council has been asked to look at removing these trees. Apart from the cost, there is also the views of the immediate residents to take into account. Before proceeding with any costings Council would appreciate your views on whether or not the trees should be removed. A response by the 19 September 2008 would be appreciated.